BCAHL Mission: To improve the health of all British Columbians through leadership and collaboration to address the risk factors and health inequities that contribute significantly to chronic disease. The BC Alliance for Healthy Living Society (BCAHL) is a group of organizations that came together with a mission to improve the health of British Columbians. 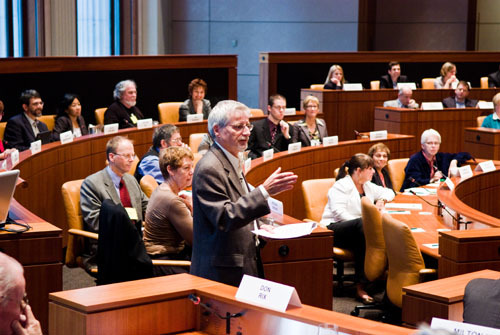 Through leadership and collaborative action, BCAHL advances health promoting policies, programs and environments that support the physical and mental well-being of British Columbians. Operating since 2003 as the BC Healthy Living Alliance, on June 1, 2017, the alliance was incorporated as a society and our name changed to the BC Alliance for Healthy Living Society. Collectively, BCAHL members capture the attention of over 40,000 volunteers, 4,300 health and recreation professionals and 184 local governments across British Columbia. As an advocacy group, we work with government and hold them accountable to promote wellness and prevent chronic disease. To improve the health of all British Columbians through leadership and collaboration to address the risk factors and health inequities that contribute significantly to chronic disease. Utilizing a population health approach. Addressing populations and geographic regions where need is high and readiness for change is evident. Reducing inequities in health status. Fostering integration across approaches to chronic disease prevention. Building upon existing programs, experiences and networks. Basing decisions and actions on the best available evidence. Respecting the unique strengths, experience, expertise, and various levels of participation of Alliance organizations. Collaborative: BCAHL will be collaborative in all its work, as this forms the basis for leveraging the strengths of the members, extending abilities, and engaging diverse audiences and vulnerable populations. Visionary and forward-thinking: BCAHL will have foresight in its planning, will work towards the visions of a healthy British Columbia, and will be receptive to promising and creative approaches in health promotion. Accountable: BCAHL is reliable, dependable and accountable in its actions. Build and sustain the commitment and participation of the members of the Alliance. Work to reduce the prevalence of risk factors for chronic disease. Work to reduce the health inequities that contribute to chronic disease.